Our Semi-Auto holsters come in several distinct sizes to fit many models of semi-automatic handguns including compact, sub-compact, medium, and large calibers. They have a 1” heavy nylon webbing thumb strap and high quality side release buckle to secure the gun into the body of the holster. 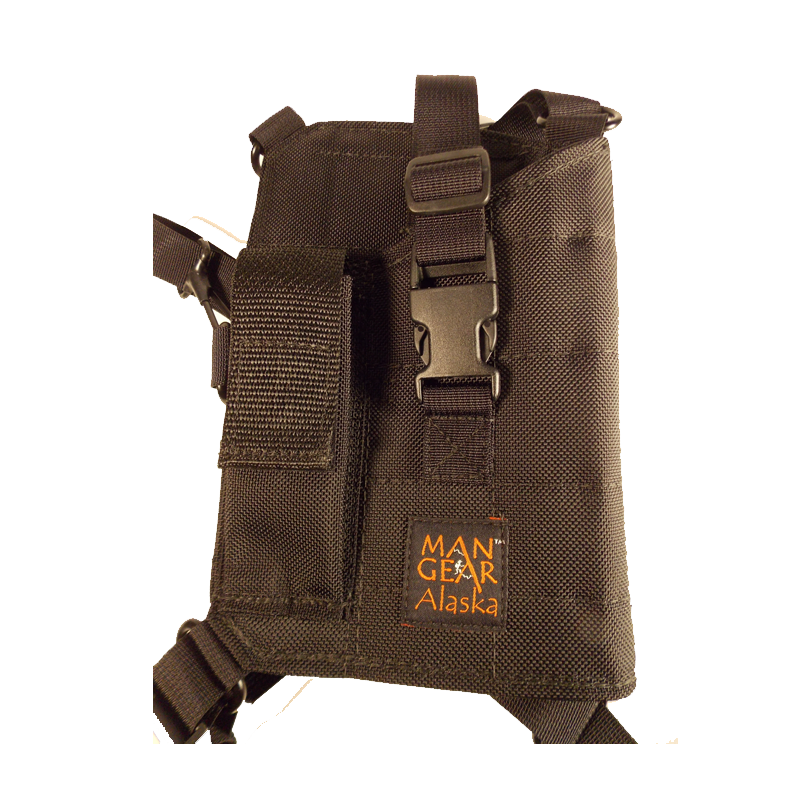 All semi-auto holsters come with a mag pouch large enough to accommodate the carry of extra magazines. Compact Plus (MGP-CP)- Fits most compact and many short barrel full sized semi-autos including: Ruger® SR40®, SR9®, The Springfield XD(M) Series, and Glock models 19, 23, 32, and 38. This holster will also accommodate the Glock 29 with the extended foot on the magazine.